Are you thinking of selling you're home? We're experts in the Boise metro real estate market and offer a free, no-obligation, Comparable Market Analysis (CMA) for your home. This CMA will not only provide a value of your home but also detailed information on "comparable" homes that have sold, are sale pending and currently for sale. Learn more about our seller-services here. Please provide the information below and we'll get in touch with you right away. Data Source: IMLS. Information not guaranteed. The information provided is not intended to meet the uniform standards of professional appraisal practice. 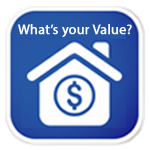 This opinion is not intended to be an appraisal of the market value of the property. If such an appraisal desired, the services of a licensed or certified appraiser should be obtained.